Weekly Meal Planning can be hard. 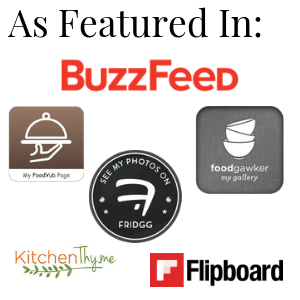 What should we eat this week? What do I need to buy at the store? 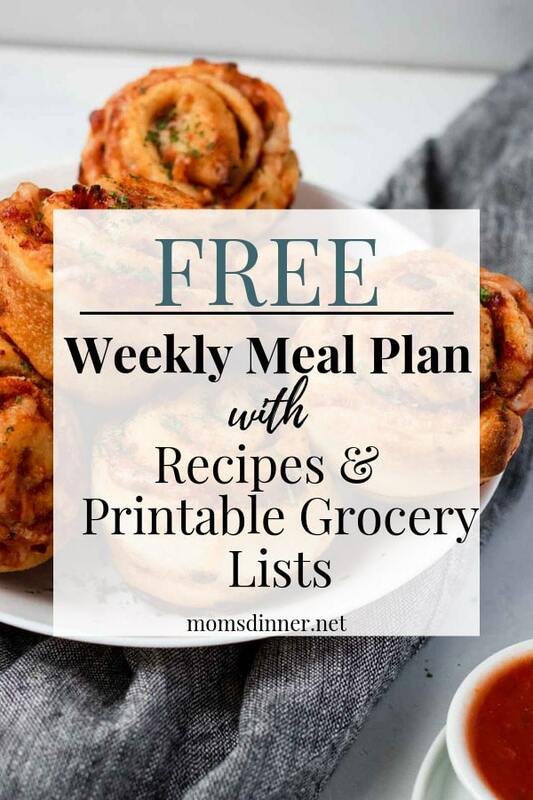 Let me answer both of those questions with my free weekly meal plan including a printable grocery list (and bonus leftover re-do ideas)! 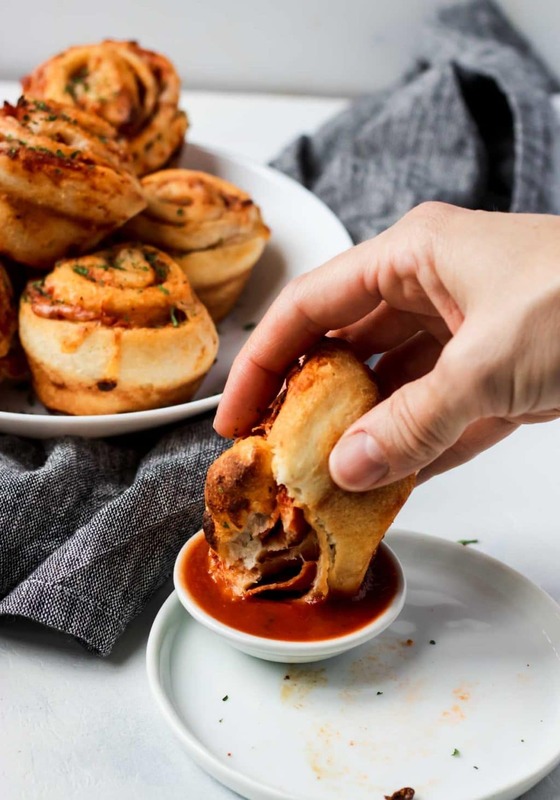 You will keep your kids happy with this dinner.These Pizza Roll Ups taste like take-out pizza, made at home. 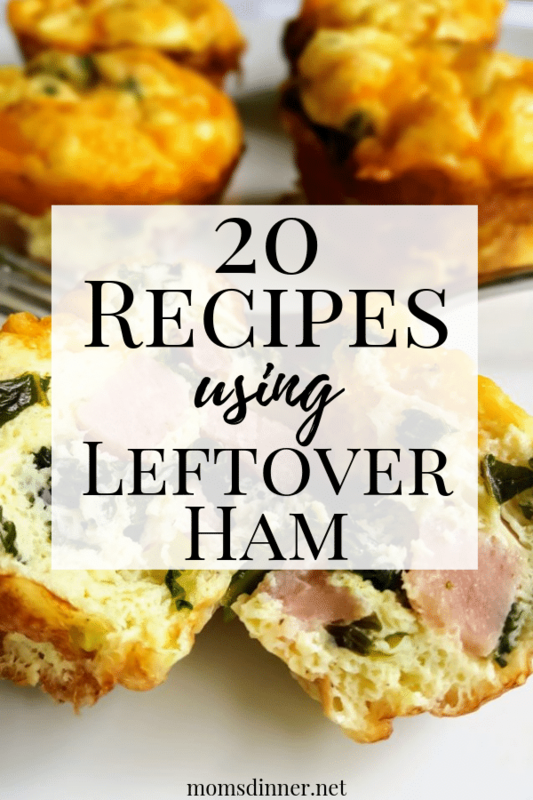 Just add a Caesar salad and dinner is done in under 30 minutes. 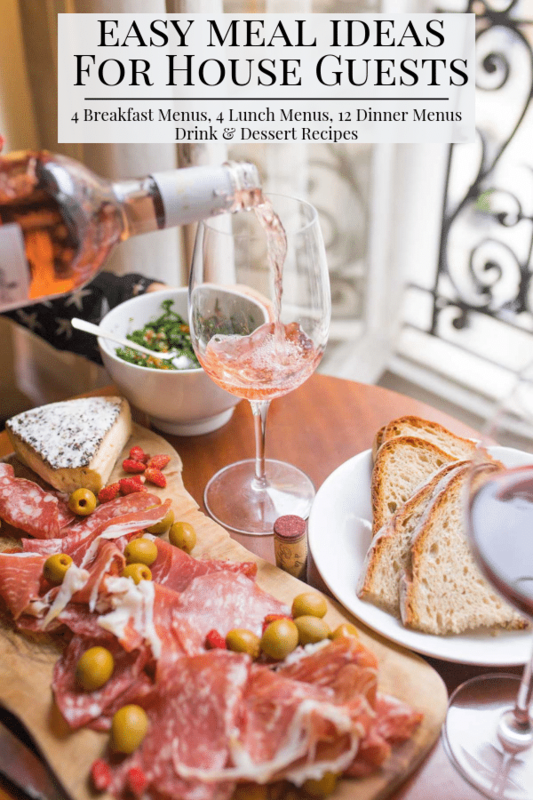 Which makes it perfect for a busy weeknight! 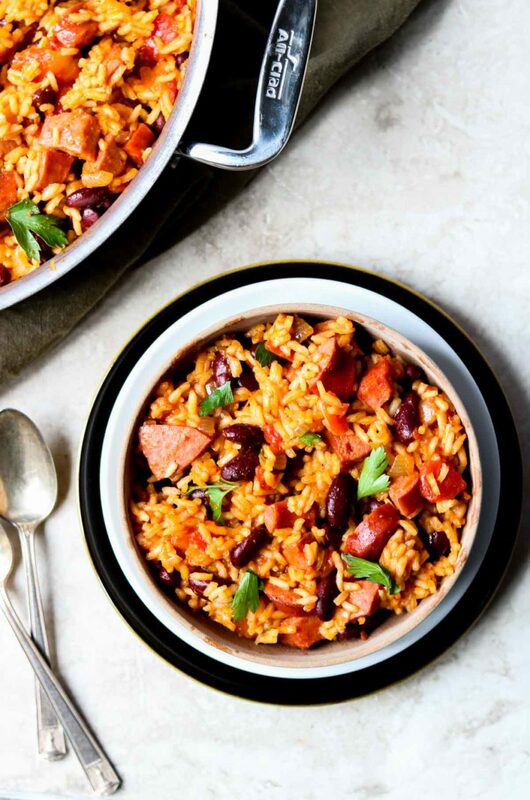 Skip all the dishes with this dinner, One Skillet Dirty Rice & Beans. Everything is cooked in one pan and done in just over 30 minutes. This is a pretty filling dinner, so no need to add a side dish here. If you love your Instant Pot like I do, then you are going to love this easy recipe for Instant Pot Hamburger Soup. 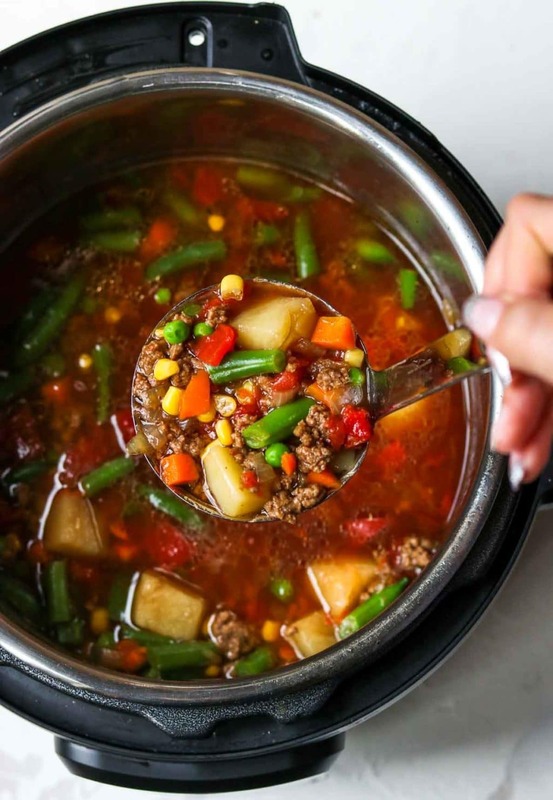 It is full of veggies, perfectly cooked potatoes, and ground beef, all in a tomato/beef broth. This is perfect for all the winter weather we are experiencing (at least here in the Midwest). Just grab some saltine crackers or oyster crackers to serve with this comforting soup. 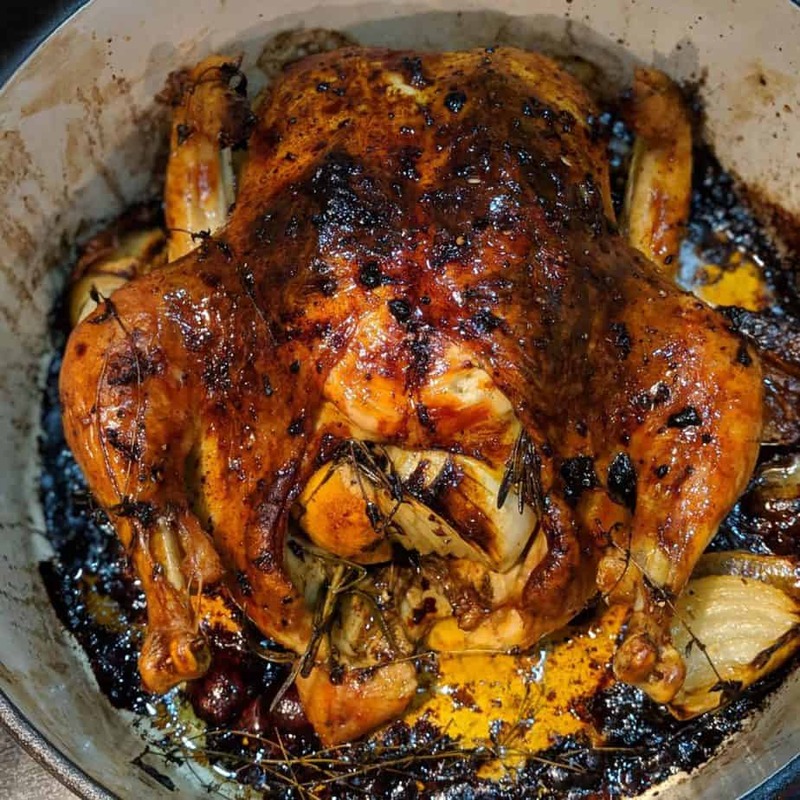 Here is your Sunday Dinner, Perfect Roast Chicken with Herbs from my friend Anna Kate at Project Stepmom. This would pair perfectly with mashed potatoes and my Brussels Sprouts with Bacon. 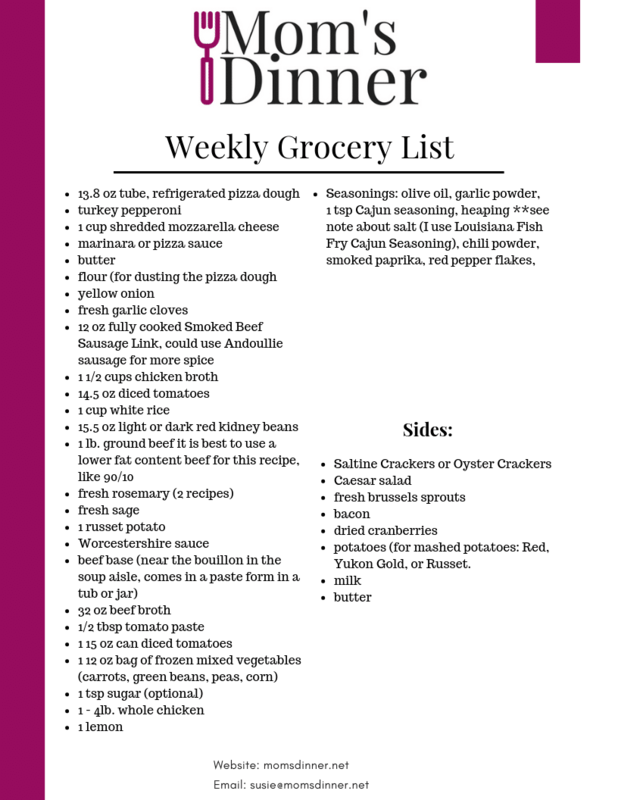 Sit down to this dinner with your family before you start your hectic week! 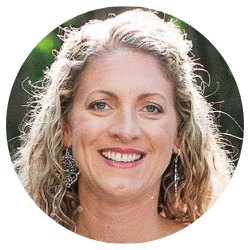 Leftover Roast Chicken has endless possibilities: you can make an amazing Instant Pot Bone Broth and then turn around and make Kid Friendly Chicken Noodle Soup or Homestyle Chicken Noodle Soup. 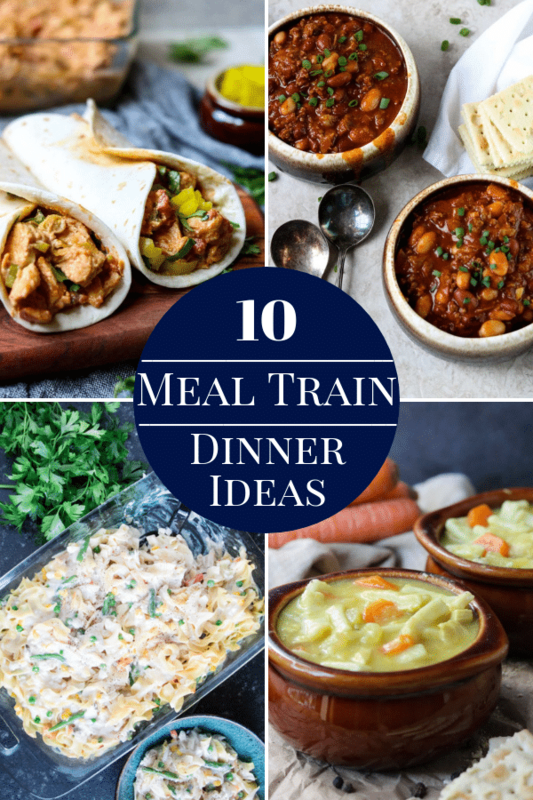 Any leftover chicken would also be great in Creamy Chicken Tacos, Hot Artichoke Chicken Salad, Chicken Enchiladas, or Verde Chicken Enchiladas. Any leftover Pizza Roll Ups go straight into my kids lunch boxes!